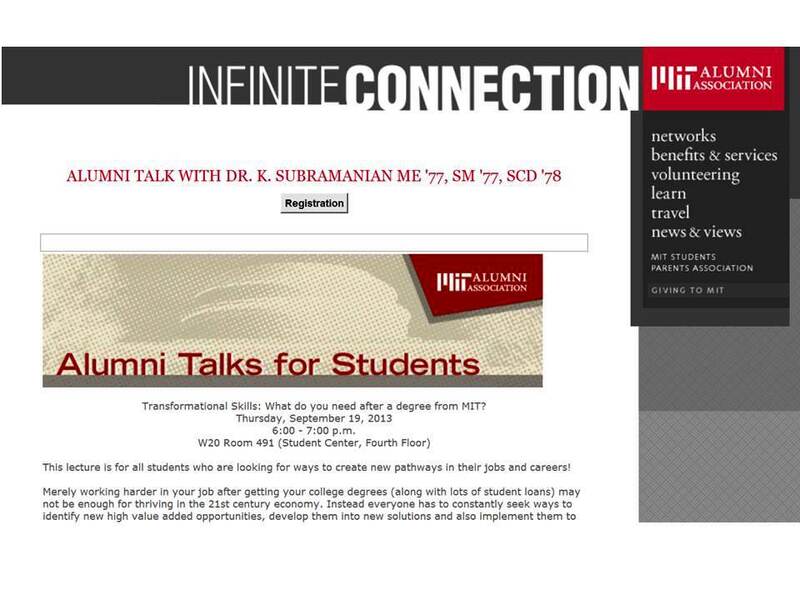 Transformational Skills: What do you need after a degree from MIT? Merely working harder in your job after getting your college degrees (along with lots of student loans) may not be enough for thriving in the 21st century economy. Instead everyone has to constantly seek ways to identify new high value added opportunities, develop them into new solutions and also implement them to be sure that the value is realized and in the end the work is rewarded as well. It is a lot more than simply doing the job you are asked to do. This combined set of skills to Discover, Develop and Deploy a stream of new solutions are the Transformational Skills. Transformational skills go beyond mere academic education in science, engineering, or management. In fact, it requires a judicious blend of all these three pathways and not treating them as isolated silos. It requires diving deep into the problem or spanning wide as required. Workers with such skills are called as the “T-shaped thinkers”. It also requires a comprehensive view of the problem on hand – as a system – and not mere piece of a puzzle. It is imperative that workers at all levels learn the Transformational Skills and integrate them in their arsenal to frame their own jobs and careers.